This creepy, classic Halloween monster character has a long history of being trapped in a tomb for all eternity. 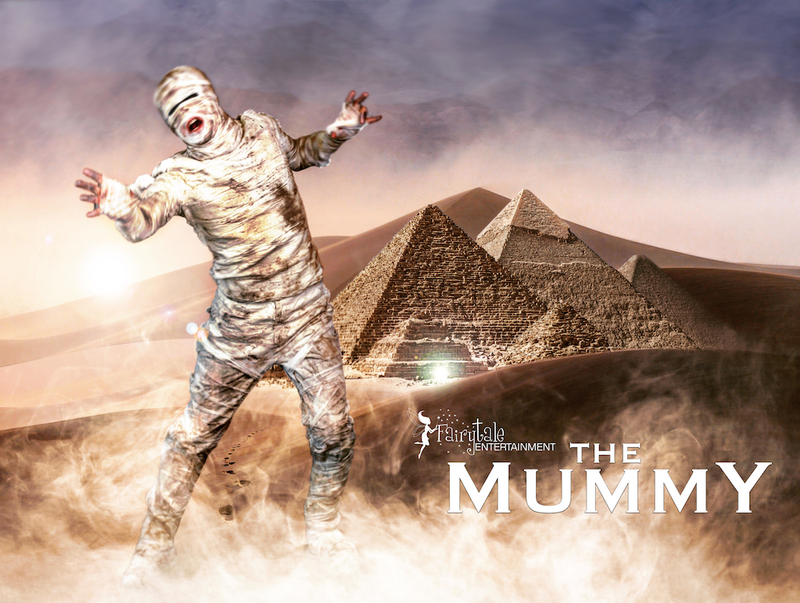 Now, he’s free from his tomb and wandering about - haunting the living and looking for fun Halloween party performances to spook! Although he can’t say much, he does a great zombie impression and believe it or not, his dance moves are to die for. When you hire a classic monster for your halloween party entertainment, you’ll enjoy photo opportunities, meet and greet and a great dance partner. 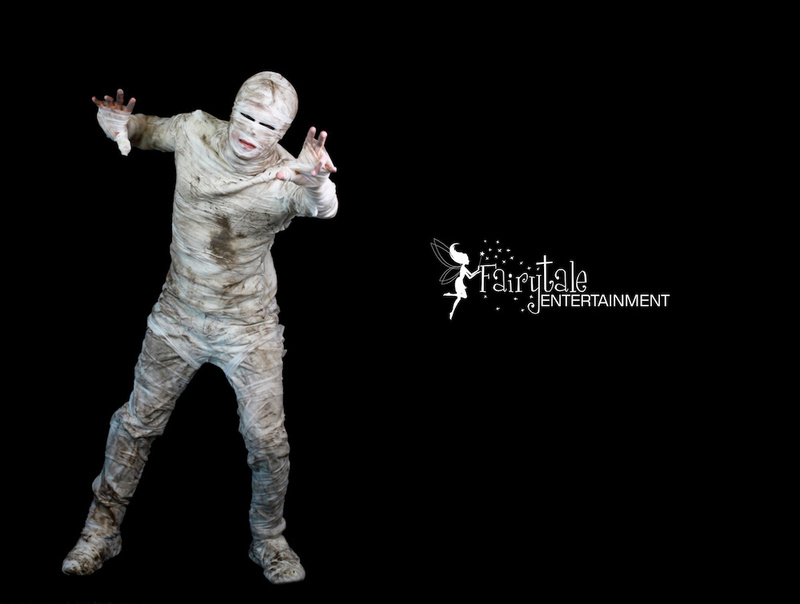 This classic monster performer is ideal for a large halloween party or seasonal business events looking for halloween themed entertainment. 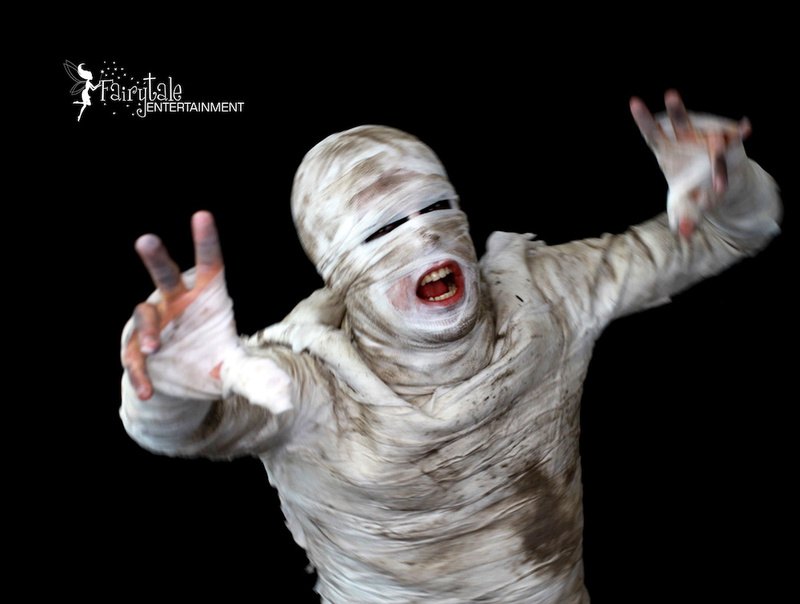 The Mummy character is high quality making him look as realistic as possible! 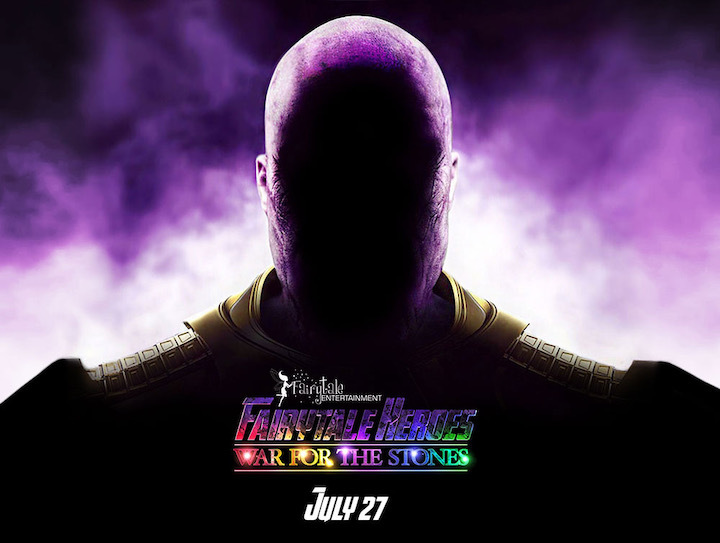 The children have nothing to fear, he doesn’t move very fast so they can escape quickly. 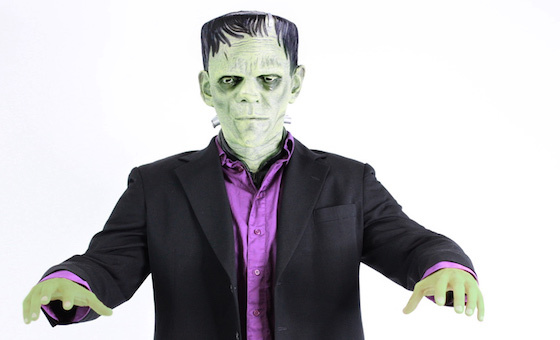 For the best results, rent all our classic monster characters for your party or event. 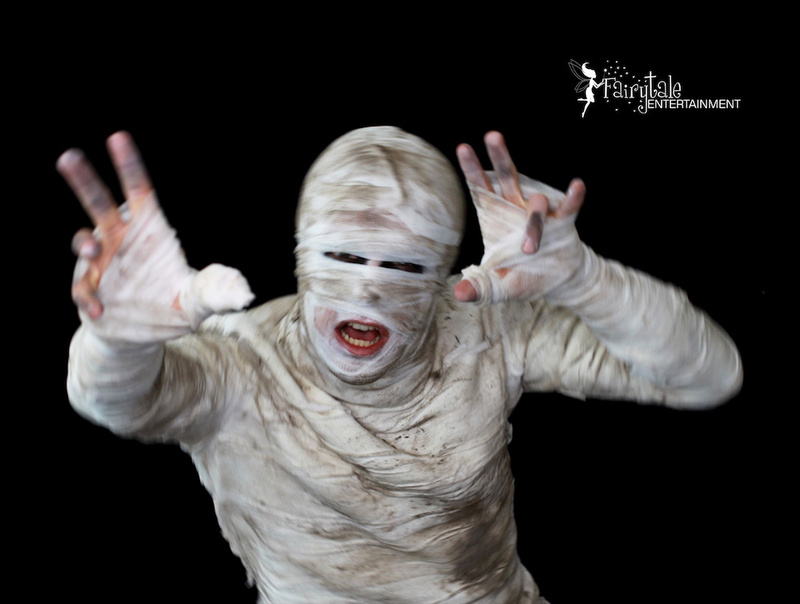 You can combine our Mummy character along with Frankenstein, Count Dracula, and the Werewolf for the optimal scare factor. 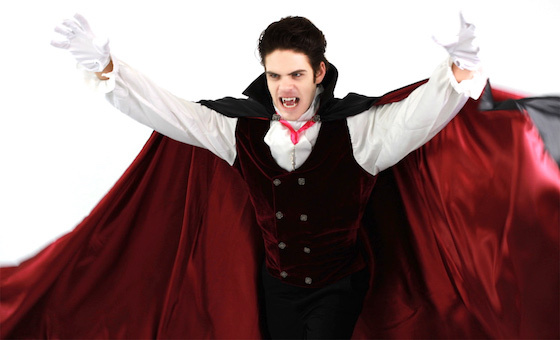 Don’t just rent halloween costumes for your next halloween party but hire classic monsters and your party or event may go viral.